Who doesn’t love delicious pancakes on the weekends? A real treat that makes you feel you’re in a bed and breakfast right in the privacy of your own kitchen. Fluffy pancakes have never been so easy or delectable. 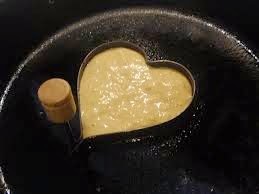 You can make fun shapes if you want to get creative with breakfast. You can also add fresh fruit such as strawberries or raspberries or even chocolate chips on top for a real restaurant style meal. 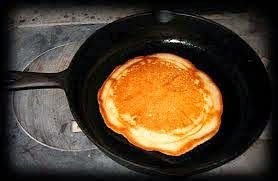 Then add some fresh maple syrup or some butter if you prefer a lighter style. Drizzle some syrup on and sink your mouth into these luscious pancakes. Enjoy. To make the batter, you’ll want two bowls, and a couple of items from your fridge and pantry. First, you mix the wet ingredients together (eggs, buttermilk, melted butter). then combine with the dry (flour, salt, baking powder, baking soda). Stir together, not worrying if you leave a few lumps. Then, cook the batter in a large, flat pan. That’s it, that’s really it. Which means you should put down that pancake mix right this second. You don’t need it. Preheat the oven to 200°F and place a heatproof platter in the warm oven. Melt 3 tablespoons of the butter (reserve the rest for cooking). In a large bowl, combine the flour, baking powder, baking soda, sugar and a pinch of salt. 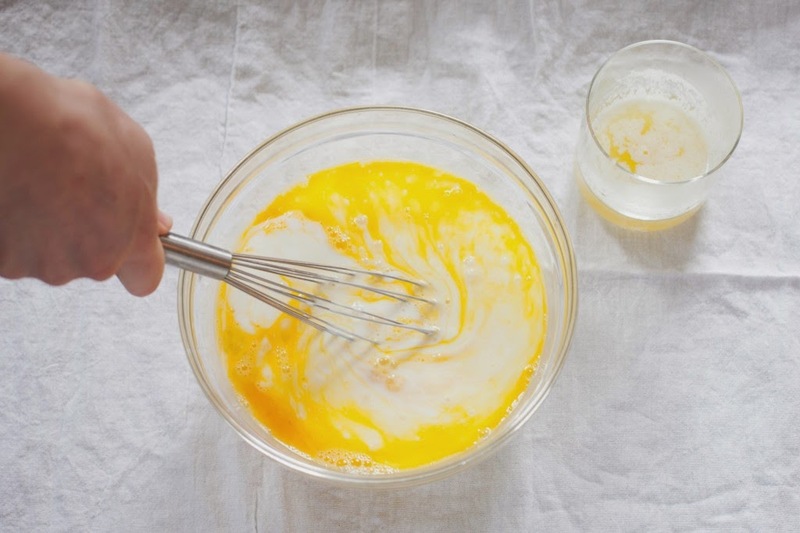 In a separate bowl, whisk together the melted butter, eggs and buttermilk. Whisk the egg mixture into the flour mixture. Heat a large pan on medium-high heat, then working in small batches, grease the pan with some of the remaining butter (or oil) and pour small amounts of pancake batter to create 4 to 6-inch disks. Cook for 2 to 3 minutes on the first side, or until the sides of the pancakes have set and the bubbles rise to the surface. Flip and cook 1 to 2 minutes, or until the centers are cooked and golden brown. 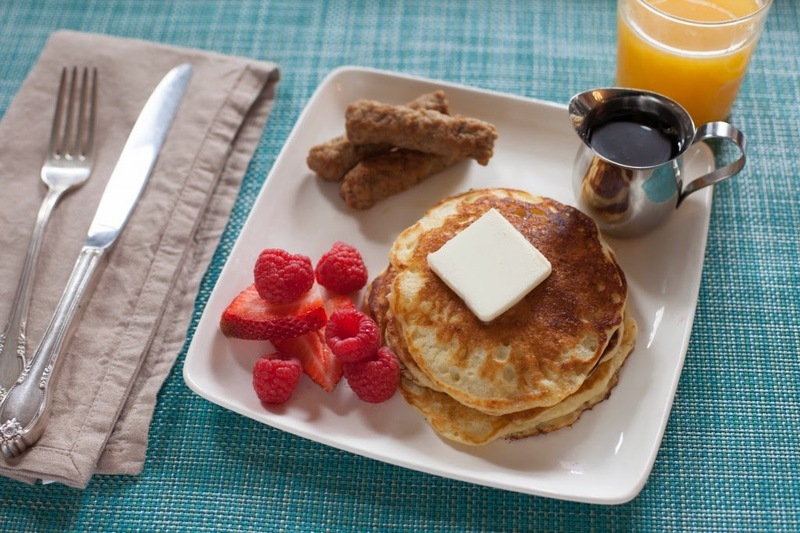 Transfer the finished pancakes to the warmed platter and repeat with the remaining pancake batter. 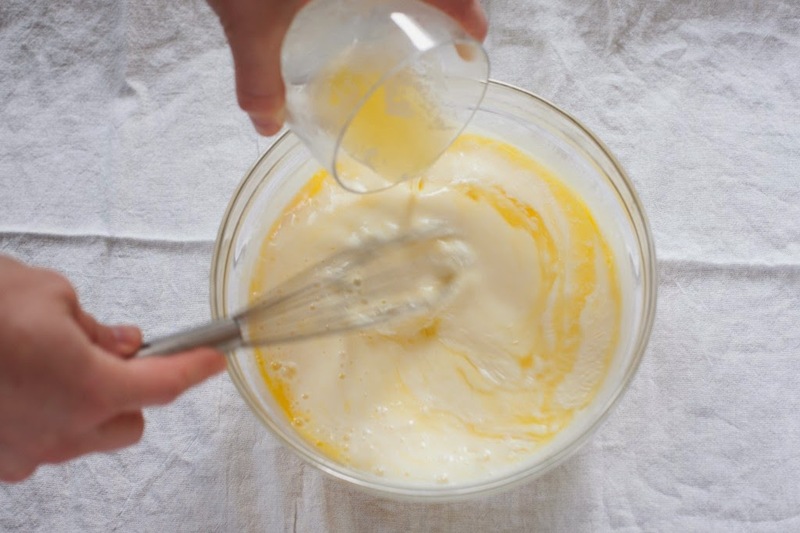 if you can’t find buttermilk, here’s a trick: combine the same amount of milk (regular or 2%) with the juice of half a lemon, some vinegar, or a big dollop of yogurt with live cultures. Let the two sit together, hanging out, for about half an hour, then go ahead with the pancake recipe. 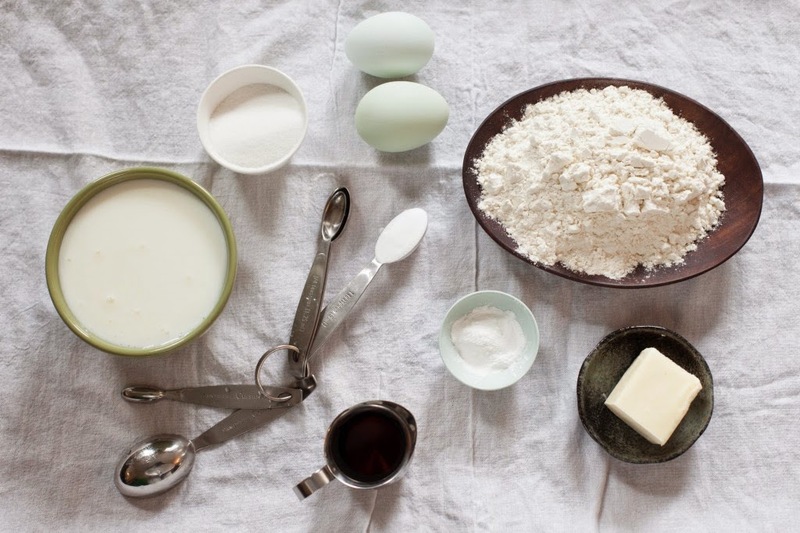 You’ll have just created homemade buttermilk! Got another Blue Apron recipe for you HERE!